Our Paris and Aix-en-Provence programs offer a wide range of academic, co-curricular, and housing choices, allowing students from almost all majors and of all French language levels to find the best fit for their short term, summer, semester, or academic year abroad. Join a group of your peers to explore our Study Centers, discover our host cities, and get to know us. CEA France hosts a bi-annual Student Conference in Paris in April and December. This conference, Reflections Abroad: Culture, Identity and Self, is an opportunity for students to share their research, experiences, and reflections in an academic conference setting. It is an excellent public speaking opportunity for those selected to present. CEA hosts the Cross-Cultural Education Grant (CCEG) program at the CEA Paris Center. The CCEG provides the opportunity for local students (French or non-French Francophone) to take one course at CEA Paris alongside CEA students. This is an excellent opportunity for local students and also diversifies our classrooms, giving CEA students the opportunity to learn, work, and socialize with international peers. 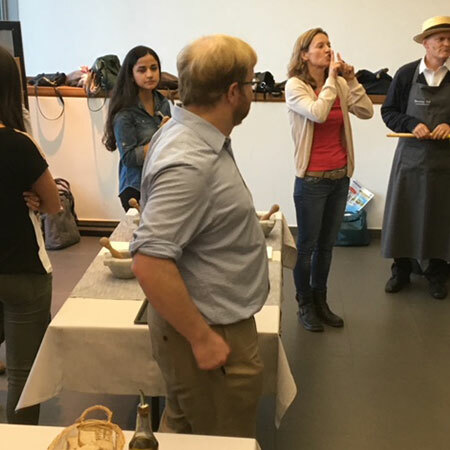 Both CEA Paris and Aix-en-Provence students have summer and semester internship opportunities in English or French in a wide variety of fields. 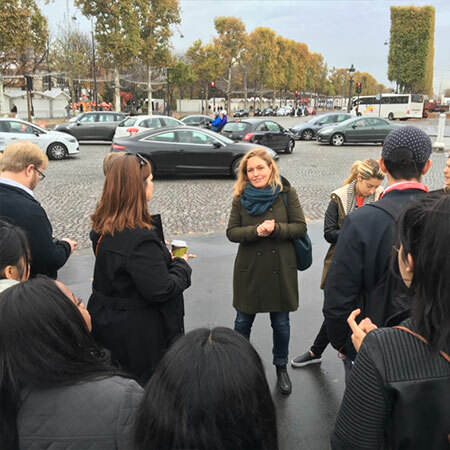 International Business students in Paris take classes with local students in a degree-bound curriculum, providing an authentic educational experience in France and interaction with local students. Ranked among France’s top 20 undergraduate business schools, ESSCA École de Management - Paris is internationally accredited and one of the prestigious “Grandes Ecoles” in France. ESSCA’s history began in 1909 when the Dean of the law faculty at the Catholic University of the West founded the Angers Business School. Today, ESSCA operates the original school in Angers, France along with 7 other sites worldwide including the Paris campus. In addition to being a “Grande Ecole” ESSCA is accredited by AACSB, EQUIS, & AMBA. ESSCA’s mission is to equip students and managers for a successful and sustainable career while taking fully into account the human and social dimensions of a globalized world. The university has a permanent team of 120 faculty members, 4000 students, and 13,000 alumni around the world. The school offers degrees at the undergraduate and graduate level in diverse fields including International Business Development, Marketing & Sales, International Data Management, Entrepreneurship, Management, & Financial Analysis. Furthermore the Paris campus is home to a business incubator for French companies. You’ll attend class with undergraduate degree-bound students. You will receive a transcript from ESSCA École de Management. The ESSCA Paris campus is located in Boulogne, one of Paris’ upscale suburbs that is also home to Roland Garros and the Parc des Princes. The ESSCA campus is adjacent to the Métro line 10, at Boulogne Pont de Saint-Cloud, just two stops outside of the Paris city limits. The Université de Paris IV, often referred to as la Sorbonne, is one of the oldest and most prestigious universities in the world. It was founded by Robert de Sorbon in 1253 and attracts thousands of international students each year. French language courses for CEA students in the French Language & Liberal Arts program are taught by the Cours de Civilisation Française de la Sorbonne (CCFS), the University center at la Sorbonne dedicated to teaching French language and culture to international students. 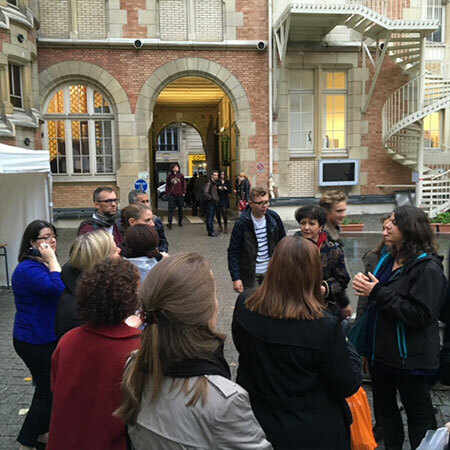 CEA students attend courses at the CCFS’ Raspail campus. This newly renovated location features state-of-the-art classrooms and phonetics laboratories, creating a modern learning environment within a historically rich setting. Students who successfully complete the program will be issued a transcript from the Université de Paris IV - Cours de Civilisation Française de la Sorbonne. The overall student population at the University is 25,000, with an international student population of 3,000. You’ll attend classes with other international students, giving you the opportunity to interact with many of the world's cultures in one of Europe's most diverse and exciting cities. Institut Catholique de Paris, founded in 1875, is a private French university that has welcomed international students to its campus since 1948. Courses are held on the Institut Catholique campus in the 6th arrondissement, the heart of historical Paris. You’ll attend class just a stone's throw away from the Latin Quarter, Saint-Germain-des-Prés, and Montparnasse. The school is accredited by the French Ministry of Education, and is a member of the International Federation of Catholic Universities (FIUC). Students who successfully complete their program will be issued an official transcript by the Institut Catholique de Paris. You’ll enroll in courses with other international students at the Institut de Langue et de Culture Françaises (ILCF), the Institut Catholique’s center for French Language and Culture. The professors at ILCF specialize in teaching French as a foreign language to students of all language levels. Out of a total student population of 30,000, there are approximately 3,500 foreign students, representing 120 countries and providing you the opportunity to meet students from around the world in one of Europe's most diverse and exciting cities. Aix Marseille University, one of the oldest universities in France, boasts many prominent government leaders among its alumni. The university is centrally located near the famous Cours Mirabeau. You’ll take courses through the Service Universitaire Français Langue Etrangère (SUFLE), the university’s French language school. 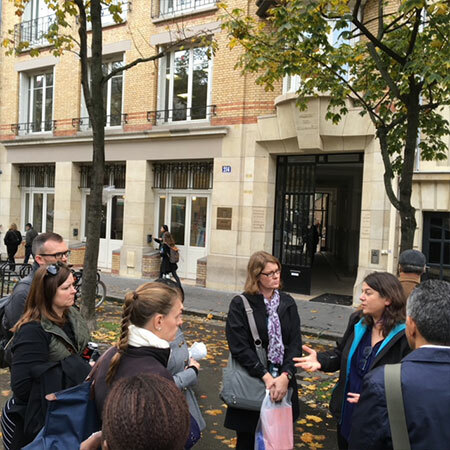 Founded in 1953, SUFLE is regarded as one of the best French-language teaching centers in the country and hosts about 1,000 students from 65 countries. 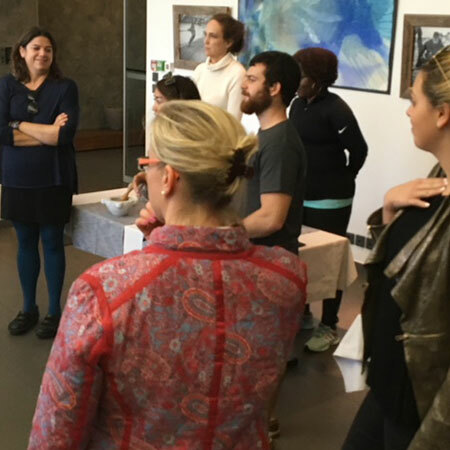 SUFLE offers instruction in French at all levels—from beginning to advanced—and prepares students for the diplomas of the Paris Chamber of Commerce and other diplomas and certificates. At SUFLE, you won’t just learn French language: you’ll also gain an understanding of and appreciation for France's literature, history, and culture. Founded in 1958 under the auspices of l'Université d'Aix-Marseille and chartered by the Regents of the University of the State of New York, IAU College is one of Europe’s oldest and largest education abroad programs. IAU has served as an academic center for more than 18,000 students from more than 700 colleges and universities. Its present annual enrollment overall is around 300 students. IAU College welcomes undergraduates from U.S. colleges and universities. Courses in the humanities, social sciences, and fine arts are taught in French and English. 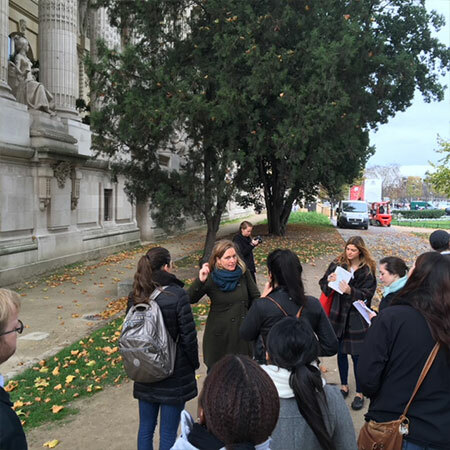 In the context of Provence's rich Mediterranean heritage, IAU delivers curriculum that guides students to cultural competency while fostering a life-long affinity for the culture, language, and people of France. 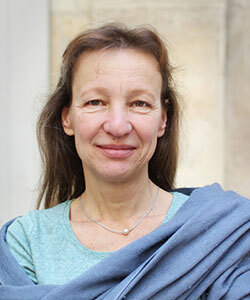 As the Director of International Programs for France and Director for the CEA Paris Center, Alexandra is responsible for overall programming and operations for CEA sites in France, maintaining CEA standards across all educational programs. There's a lot to keep her busy on-site, including long and short-term Program Development, managing Finance and Human Resources, overseeing Student Affairs and Academic Affairs, and working with students in and out of the classroom. 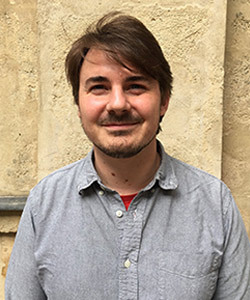 Christopher oversees academic programs offered through CEA Paris. His responsibilities range from curriculum development to faculty training, as well as student advising and partner program oversight. He has developed an extensive working knowledge of academic approaches to topics ranging from world health care systems to global management information systems. 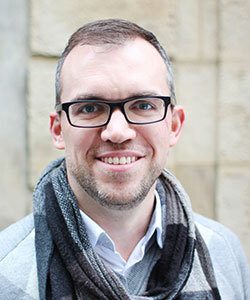 Devon oversees the Student Life department at CEA Paris, working closely with the Student Life Advisor and Student Housing Advisor. 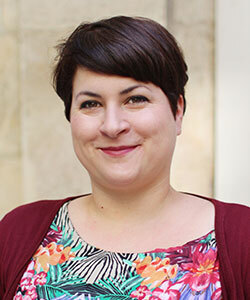 She is responsible for program logistics, including orientation, excursions, social activities, student well-being, housing, and program budgeting. Devon also manages social media at the CEA Paris Center. 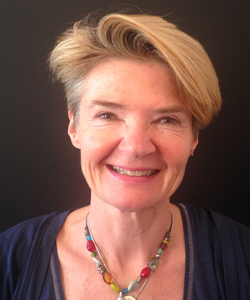 Anne-Cécile's role at CEA is to accompany students through their time abroad, helping them adjust and adapt to their new Parisian lives and host culture. 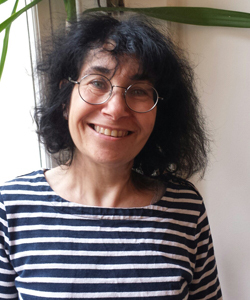 She organizes orientations, excursions, and social activities throughout the program, and is an excellent resource for things to do in France. 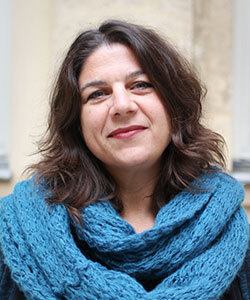 As Academic Coordinator, Elisa liaises with local academic institutions in Paris, including the Université de Paris IV - Sorbonne, the Institut Catholique, and the Novancia Business School. She also manages registration, course and co-curricular scheduling, and student advising for all CEA Paris academic programs. 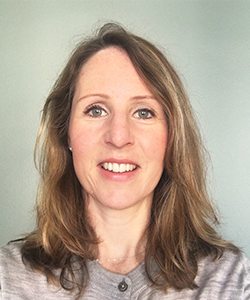 As Program Administrator, Isabelle provides administrative support to the CEA Paris office and is responsible for human resources, legal, facilities, and financial administrative processes. 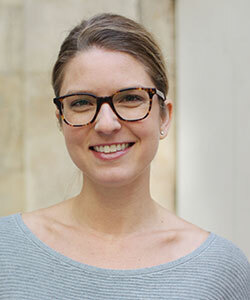 Isabelle also assists the CEA Paris team with event planning and tasks that span all aspects of CEA programming. Colin provides program support through organizing and facilitating student arrivals, orientation, housing, cultural activities, and excursions.